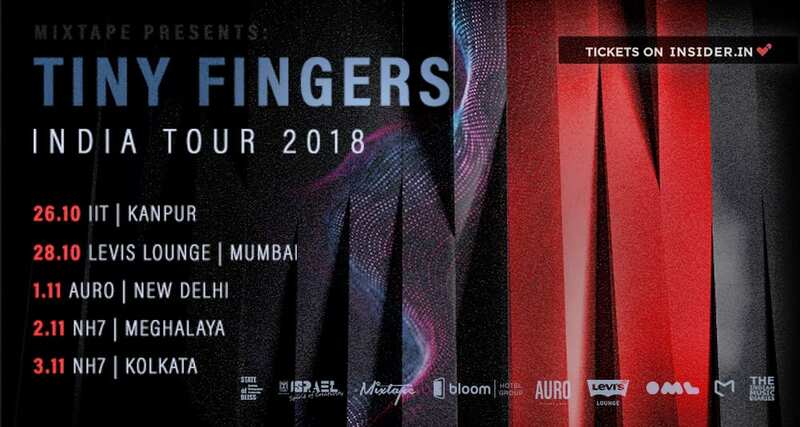 One of the leading forces in the Israeli alternative music scene, Tiny Fingers, wrapped up a 5 city India tour last week. Regarded as a forerunner of Israel’s thriving and eclectic music scene, Tiny Fingers combine post-rock and live electronics with psychedelic grooves forming a powerful, super intensive musical mix. With Oren Ben David on guitar, Boaz Bentur on bass, Tal Cohen on drums, and Nimrod Bar on keys & synths, Tiny Fingers are, as BBC puts it, ‘an explosive mixture’. The band tours across the world that has performed at a number of clubs and festivals including CMJ (New York), Fusion Festival (Germany), Liverpool Sound City (UK), Exit (Serbia), Strawberry Festival (China), Spring Scream Festival (Taiwan), Mighty Sounds (Czech Republic) and much more.